Your bed = soon to be a plush paradise. 1. 40% off a two-pack of hypoallergenic quilted bed pillows filled with a perfect medium-firm blend. Get the pack of two from Amazon for $29.99 (originally $49.99). Available in sizes queen and king and in two color options. 2. Up to 30% off Harry Potter sheets and bed accessories, because your bed is where all the magic happens. Get them from PB Teen for $32.50+ (use code SAVEMORE for an additional discount). Available in sizes twin-king. Get it from Amazon for $19.99 (originally $49.99). Available in sizes twin-California king. 4. 19% off a two-pack of lavender linen spray to help soothe and relax you while you lay in paradise — your bed. Get it from Amazon for $12.95 (originally $15.95). Available in five scents. Promising Review: "I really like the fact that it not only has four different light settings but also different brightness levels for each of the settings. I am using this as my lamp on the nightstand beside my bed. When I was removing the lamp from the box the first thing I noticed was that the base is very solid and heavy enough to keep the light from tipping easily. The USB plug on the side is an added bonus because I use it to plug my kindle into after I finish reading for the night and it lays very well on the base of the lamp. This light from this lamp is customizable in so many ways you are bound to be able to find just the right setting for you. 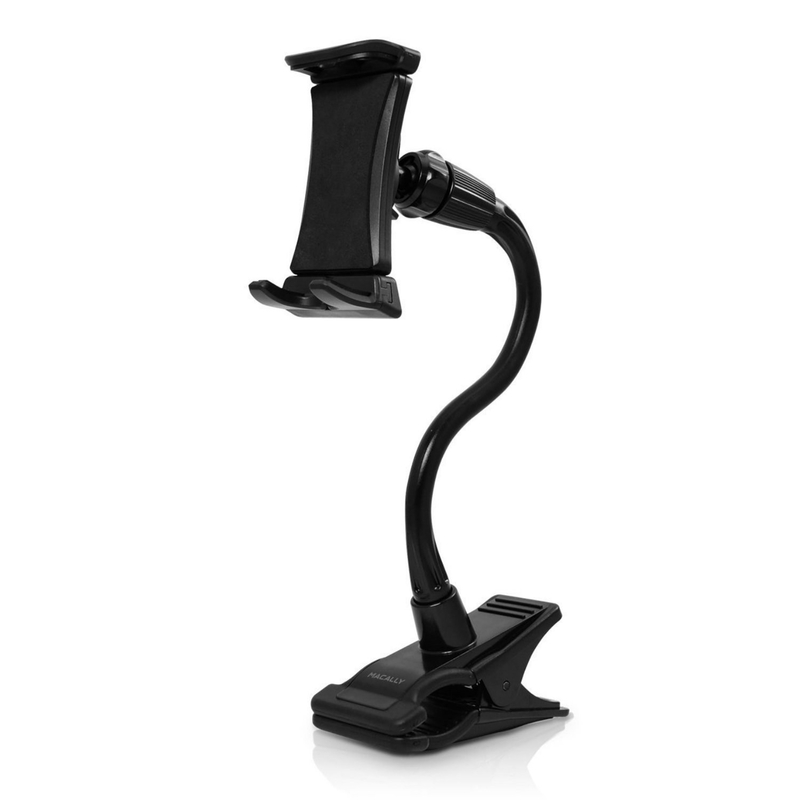 My wife now wants to replace her nightstand lamp with one of these so it looks like I'll be buying another." —Charles H.
Get it from Amazon for $29.99 (originally $59.99). 6. 40% off a bedside caddy you can store all your supplies in so you never have to get out of bed. Get it from Amazon for $8.99 (originally $14.99). 7. 19% off a contouring pregnancy pillow, because if anyone needs a good night's rest it's the person who isn't going to be sleeping for the next 18 years. Get it from Amazon $64.99 (originally $79.95). 8. 58% off a super soft polar fleece blanket you'll wear as a cape when you have to leave the comfort of your mattress to go to the kitchen and get more nourishment. Get it from Amazon for $16.79 (originally $39.99). Available in sizes twin-king and in two color options. 9. 13% off a micro plush heated blanket with 10 heat settings that'll let you preheat your bed before you slide on in. Get it from Amazon for $38.88 (originally $44.99). Available in sizes twin-king and in six color options. 10. 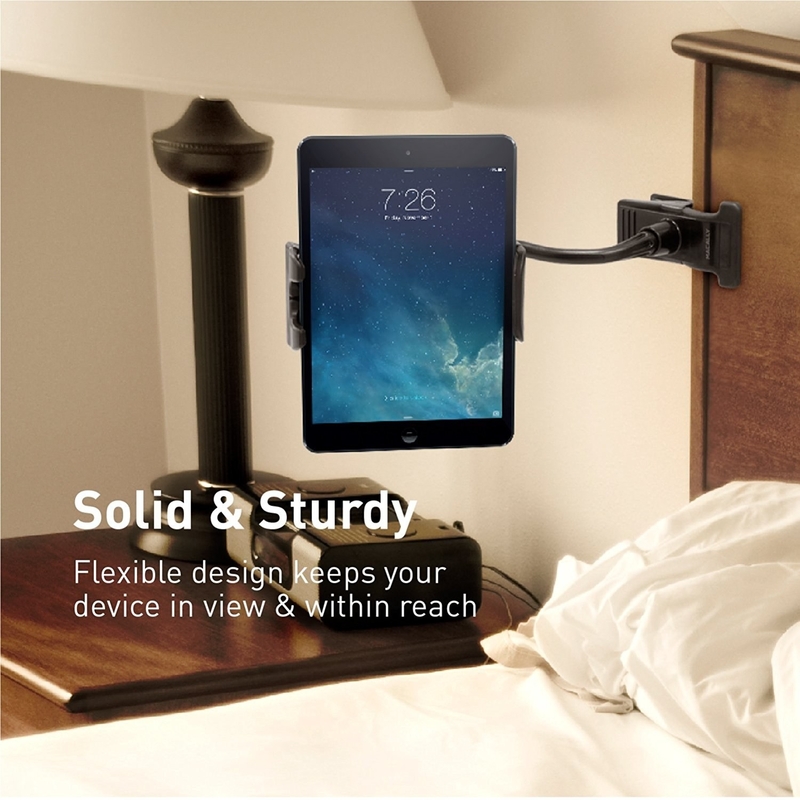 33% off an adjustable tablet holder you can mount onto your furniture. Get it from Amazon for $20.09 (originally $29.99). 11. 20% off a mesh bed canopy for when you need a bit of privacy but you're also fab AF. Get it from Urban Outfitters for $39 (originally $49). 12. 24% off a two-pack of 100% cotton blankets to keep you stylishly warm while you curl up and watch yet another episode of your fave show. Get it from Walmart for $18.99 (originally $24.99). Available in six colors. 13. 56% off a hypoallergenic down alternative comforter you can throw in the washing machine so it stays fresh every time you're ready to crawl into bed. Get it from Amazon for $30.99 (originally $69.99). Available in sizes twin-king. 14. 46% off a chiffon flower pillow cover so you can stop and smell the roses — without ever getting up. Get it from H&M for $6.99 (originally 12.99). 15. 37% off a gel memory foam mattress topper to give your old mattress a fresh new start. Get it from Walmart for $94.99+ (originally $149.99+). Available in sizes twin-California king. 16. 56% off a foldable breakfast-in-bed tray, because the only place one should enjoy the most important meal of the day is in bed. Get it from Amazon for $14.99 (originally $34). 17. 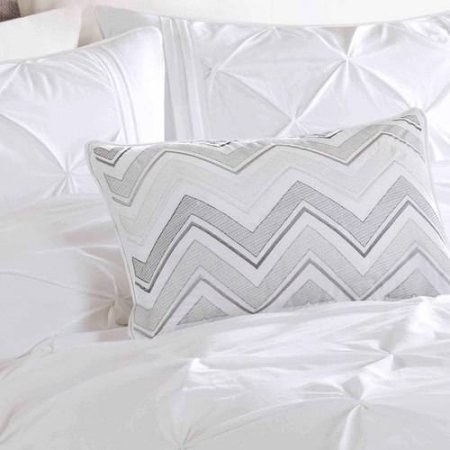 47% off a four-piece cotton duvet set that includes two king shams and one decorative pillow. Get it from Walmart for $32.72 (originally $61.59). Available in sizes full-California king and in two colors. 18. 68% off a four-piece set of hypoallergenic sheets designed to be totally wrinkle and fade resistant. Get it from Amazon for $22.49 (originally $69.99). Available in sizes twin-California king and in 16 color options. 19. 18% off a microfiber down-alternative blanket so you can have the cozy comforter feel without having to undo your whole bed. Get it from Walmart for $26.87+ (originally $32.87+). Available in sizes twin-king and in four colors. 20. A botanical print comforter set perfect for adding some tropical color to your dreary dorm room. Get it from Urban Outfitters for $99 (originally $169). Available in Twin XL. 21. 15% off a lap desk designed to conform to you so you can sit comfortably with your laptop for hours...and hours and hours and hours and hours. Get it from Amazon for $16.99 (originally $19.99). Available in six colors. 22. 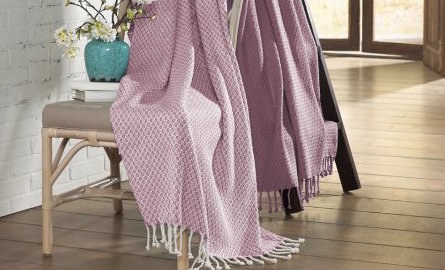 57% off a soft AF throw blanket just too pretty in pink. Get it from H&M for $14.99 (originally 34.99). 23. Up to 36% off a green tea memory foam mattress designed in a high-density material for ultimate support. Get it from Amazon for $223 (originally $349). Available in sizes twin-California king and in 6-12 inch thickness. 24. 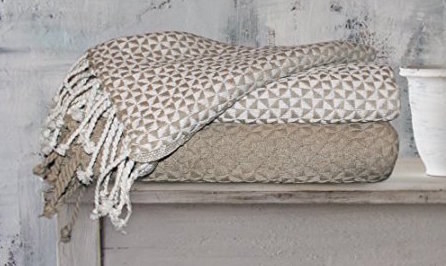 46% off textured weave cushion covers so your bed can be more pillow than it is an actual bed. Get it from H&M for $6.99 (originally 12.99). Available in three colors. 25. 42% off a faux fur hooded sleeping bag that'll keep you well dressed even while you sleep! Get it from PBTeen for $109.99 (originally $189). 26. 29% off a plush back cushion for comfy support while you turn your bed into your home base. Get it from Urban Outfitters for $69.99 (originally $98). 27. And 43% off an upholstered panel bed so you can wake up like royalty! Get it from Wayfair for $301.67+ (originally $569.99). Available in sizes twin-king and in four color options. This is about to be you!